Blog Book Tour | An #MGLit #CanLit horse drama writ by an actress on #ThePinkertons! “Wonder Horse” by Anita Daher is an uplifting treat! 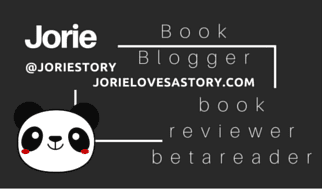 Acquired Book By: I am a regular tour hostess for blog tours via Chapter by Chapter, where I receive opportunities to host Cover Reveals & Author Guest Features on behalf of the Indie Publisher Month9Books. 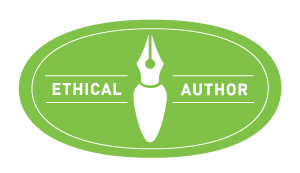 This is the second time I was offered to host a blog tour outside of Month9Books, featuring another Indie Publisher: Rebelight Publishing! I jumped at the chance to read this exciting novel for Middle Grade readers, as I am always seeking out light infused Children’s Lit which has a resounding story-line stitched together with a life lesson and/or a character who children can relate too as much as they can celebrate having found. For a bit of background on Rebelight Publishing, please read my anchour supplement on the top of my review for “Missing in Paradise”. 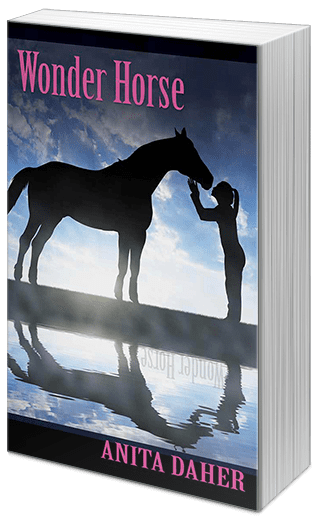 I received a complimentary copy of “Wonder Horse” direct from the publisher Rebelight Publishing in exchange for an honest review. I did not receive compensation for my opinions or thoughts shared herein. I grew up with a wicked fascination with horses and the horse dramas writers would spin into creation via novels and motion pictures. I still remember staying up way past my bedtime in order to finish reading one of the Black Stallion series novels or one from the Thoroughbred series! I was the girl who cherished The Saddle Club and wished she had a wicked awesome group of girls to ride horses with and develop a keenly wicked friendship circle! Horse dramas were simply an organic progression of where I would want to go literally through stories from the moment I stepped outside the saddle as I was a young rider. I have loads of happy memories following the hooves and dramas of horse girls, women, and men in motion pictures inasmuch as I get a wicked excitement in my heart when I find a new book coming out about the strength of the bond between horse and humans. Young or old, Children’s Lit related or Western Fiction, if the story has a grounding of insight into horses and the inseparable connection of love they give back to those of us who have realised the friendship they give so freely, than the odds are favourable I am going to find the next story which reaches my hands to be a memorable read! Hence why when this blog tour was only a whisper of a thought on Twitter when Rebelight started tweeting about it, I *knew! * I had to take part! I wanted to read the story which has been re-translated into English from it’s original published Norwegian! By the by, with the current winner of the Triple Crown creating a buzz in the twitterverse with the tag #WonderHorse, methinks we should have started tweeting out with #WonderHorseMG to create the distinction. Sometimes I worry books will be overshadowed by more popular tags whose ‘chatter’ is anything but on the publishing industry radar. Fitting into a new school in a new city isn’t easy, but dreams come true for Sera with a gift from her parents: a gorgeous and spirited American Paint horse. Sera’s bubble bursts when a mean girl, Brittany, tells her that neither she nor her less than well-trained horse belong with the rest of the “reiners” in their riding class. As Sera sets out to prove Brittany wrong, she risks losing her passion for training and the friendship of Dev, another girl who truly understands her. Originally published as “Wager the Wonder Horse” by Stabenfeldt (Stavanger, Norway) in 2011 and distributed in six languages: Norwegian, Hungarian, Czech, German, Finnish and Swedish. Anita Daher has been entrenched in the publishing industry since 1995, and is (thus far) author of fourteen books for children and teens. Aside from short stints as grave-plot seller, tour guide, and children’s party clown, she’s worked in aviation, publishing and broadcasting. When not word wrangling, she enjoys inhabiting characters on stage and screen.